He said what?! 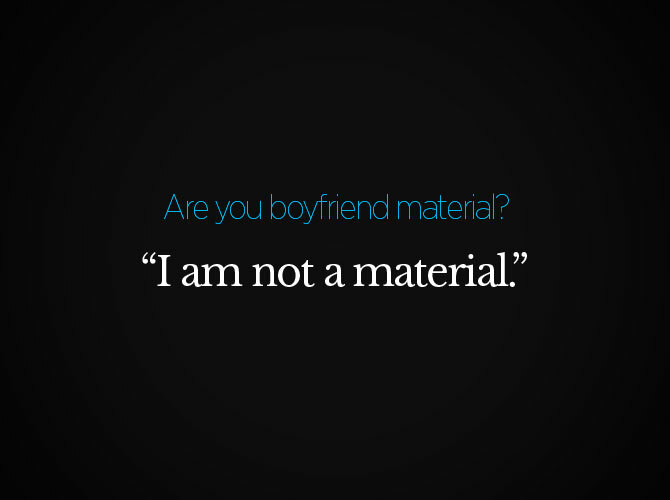 Launch the gallery to read some LOL-worthy lines we heard from bachelors during go-sees. Here's the grand finale to our series of behind-the-scenes looks from our Cosmo Bachelor 2012 auditions! As we ride on the Bachelor Bash high, check out <i>another</i> batch of steamy behind-the-scenes photos, where you'll see swoon-worthy men take their shirts off by the pool! Start your week right with a hefty dose of hot men! Our final go-see attracted <i>plenty</i> of hunky guys--enjoy browsing 160+ exclusive outtakes! We bring you another batch of go-see hotties for your viewing pleasure this long weekend! Check out the dudes who dropped by our HQ to try their luck. Get a sneak peek at how Cosmo selects the 69 bachelors--and what these men do while awaiting their turn! We got them to demo their "special talents"! These studs dropped by our office to try out for a spot in this year's 69 HOTTEST. They dished things about themselves and showed us their "hidden talents" to win your approval!